After almost 50 years in the same building at the Municipal Center in Princess Anne, Virginia, the city of Virginia Beach is finally prepared to move its seat of government to a new City Hall, one that is free of asbestos. In fact, city employees were finally able to convince the powers that be that the time was right to make the move by highlighting the dangers the asbestos-laden insulation and floor tiles could pose to municipal workers doing the city’s business. The City of Virginia Beach Facilities Engineer recently released a short video detailing some of the issues plaguing the half-century old structure including central heating, the electrical grid, plumbing, insulation, and how they all are hampered by asbestos-related concerns. 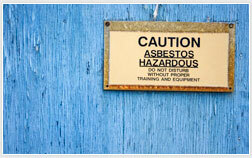 While the asbestos in the building does not pose a threat to workers in the material’s current form, even modest repairs or alterations to some of the building’s core systems could result in a serious environmental hazard. Were the city to attempt any repairs, the entirely building would likely need to be evacuated to ensure innocent people did not come in contact with cancer-causing asbestos. Unfortunately, there have been far too many stories of public and private sector workers developing serious health problems, particularly mesothelioma, from inhaling asbestos and other carcinogenic debris while working in buildings undergoing renovations. A recent report by KXAN revealed that as many as 120 workers for the city of Austin, Texas were likely exposed to asbestos during renovations to offices at the Austin-Bergstrom International Airport’s Maintenance Complex Building. As a result, eight construction workers directly involved with the renovations where the asbestos was reported will receive lifetime medical monitoring to ensure any adverse health events are diagnosed and treated immediately. According to the news outlet’s investigation, preliminary surveys of the work area showed no asbestos contaminated building materials, but some workers raised concerns to supervisors early on into the renovations. Unfortunately, these concerns were dismissed by management, citing the aforementioned survey that failed to show any trace of asbestos in the building. Sources quoted in the article claim that workers discovered carcinogenic black mastic adhesive underneath carpet and tile and demanded the work be stopped and the area cordoned off to prevent any asbestos from contaminating the facility. However, the work continued as scheduled during February and June 2016. Black mastic is a type of adhesive once commonly used to bind tiles to the floor. New York City’s asbestos courts recently issued new orders expanding the rights of mesothelioma cancer victims to seek enhanced damages from defendants for the harm caused by dangerously designed and manufactured products. 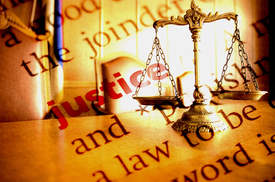 The order is a reversal of a previous New York City Asbestos Litigation (NYCAL) declaration that deferred claims for punitive damages indefinitely and deprived mesothelioma victims the opportunity to hold wrongdoers accountable for their indifference to public safety. Until this order, claims asking for punitive damages were relegated to the court’s Deferred Docket system under the guise of promoting pretrial settlements to avoid monopolizing the court’s limited resources. Unfortunately, these types of administrative actions can hamper the rights of plaintiffs to fully recover all possible forms of damages. The order had effectively put a stay on claims for punitive damages, until such a time as the court saw fit to reverse the directive. Currently, asbestos cancer plaintiffs with punitive damages claims in the Deferred Docket system may file an amended complaint within 30-days to either the court’s Accelerated or Active dockets and allow their case to move forward in its entirety. Furthermore, filed complaints not currently seeking punitive damages may be amended to include prayers for such relief, so long as the plaintiffs can show just cause for doing so. What is the Latency Period for Mesothelioma? 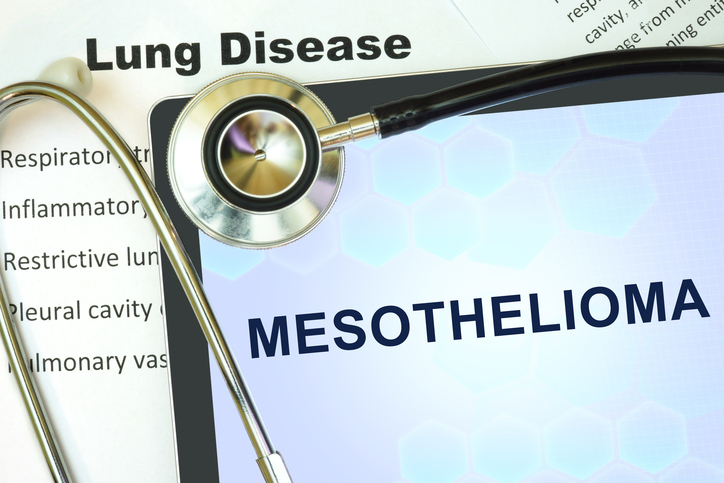 Mesothelioma is a rare and deadly form of cancer, often affecting the thin lining of tissue around the lungs or abdomen, caused by exposure to a flaky white mineral called asbestos. One of the most striking characteristics about the disease is the latency period between asbestos exposure and showing cancer symptoms. Typically, the latency period for mesothelioma is anywhere from 20 to 50 years after exposure, which can complicate diagnosis since many symptoms present themselves as age-related conditions. Unfortunately, by the time doctors do make a mesothelioma diagnosis, the disease has often progressed to the point where fewer treatment options are available. However, the latency period for an individual depends on many different factors including age, duration of exposure, and even gender. According to some studies, shorter and less intense exposure to asbestos can contribute to a longer latency period, while longer exposure to asbestos, particularly in certain industrial occupations, can manifest in a shorter latency period. According to a recent article by the Detroit Free Press, the Michigan Department of Environmental Quality may soon go after the city of Detroit, along with demolitions contractors, for health and safety violations over asbestos mismanagement. The article states that the state DEQ traditionally only levied fines against demolitions contractors for violations involving asbestos, but since Detroit has allowed rampant violations to continue and owns many of the properties where the alleged violations took place, the DEQ is within its right to pursue the property owners. The report claims that state regulators, the city of Detroit, and the Michigan attorney general’s office will sit down at the negotiating table to work out an amicable solution to the issue, which may include both fines and a pledge from the city to adhere to the federal Clean Air Act. The article suggests no timeline for the agreement, but the city claims it is in complete compliance with state and federal asbestos disposal regulations. Fines for mishandling asbestos during demolition projects in Michigan can range from $2,500 to $40,000, depending on the circumstances of the violation. While the fines may seem steep enough to an independent contractor, municipalities can often afford to cover these costs at the expense of the health and safety of the public. However, given Detroit’s recent financial turmoil, it seems more likely the city will comply with the state’s consent order. 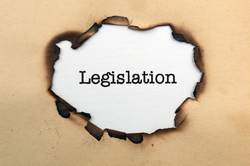 North Carolina state lawmakers recently voted to advance and asbestos claims bill that could potentially place burdensome restrictions on mesothelioma victims attempting to recover vital compensation needed to cover the costs of medical treatment. The House II Judiciary Committee voted 6-4 to advance Senate Bill 470 for a vote in the Senate, setting up a showdown between parties over the extent to which mesothelioma victims may be required to disclose certain information to the courts. 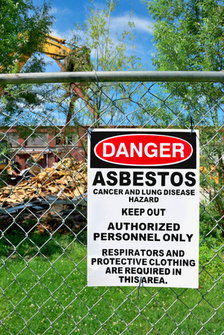 The bill would essentially require a person filing an asbestos cancer lawsuit to also disclose whether or not the plaintiff has also sought or is seeking compensation from one of the dozens of asbestos bankruptcy trusts set up by various defunct manufacturing companies. Supporters of the bill claim that the measure prevents so called “double dipping” by unscrupulous parties attempting to recover double damages for the same injury. 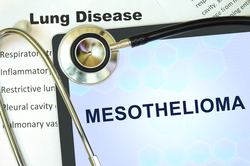 However, few mesothelioma cancer victims in North Carolina have even filed lawsuits in state courts, with all current claims being litigated in federal District Courts in the state with separate rules and procedures. Critics have rightfully called out the bill for what is is, a measure to help the broader asbestos industry and deny and delay dying people the money they need to pay for medical treatment to live a more comfortable and dignified life.